Great things can become better. Please excuse us- our pool and hot tub will be undergoing renovations February 29 - March 7- 2016 for you- our valued guests. We apologize for the inconvenience. This Property is 100 Pct. Non-Smoking. Experience the Hampton Inn Rapid City hotel where we aim to exceed our guests* expectations. Overlooking the great South Dakota plains our Rapid City guests will feel at home with the tasteful decor and can enjoy conversing at our On the House hot breakfast buffet or around the lobby fireplace. After a grueling day at work or on the road take a dip in our pool try out our 102 foot waterslide or just relax in our hot tub. We assure the business planner and South Dakota traveler well-equipped meeting rooms executive boardroom and a spacious business center. Enjoy Black Hills hospitality at its best. 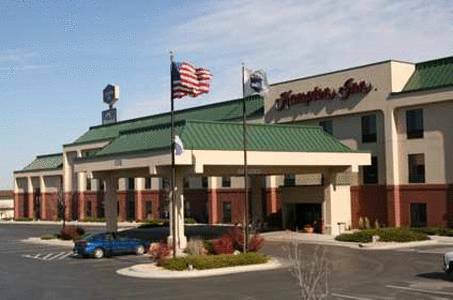 Our Hampton Inn is just minutes from the Civic Center Rushmore Mall and the gateway to Mount Rushmore and several other Black Hill*s attractions. We love having you here in South Dakota at the Hampton Inn Rapid City hotel. All reservations must be guaranteed with a major credit card or advance cash deposit to hotel regardless of time of arrival. All reservations must be cancelled 60 days before arrival unless deposit required. Policy subject to change. All reservations must be cancelled by 23:59 host time the night before arrival unless a deposit is required. If this reservation was made electronically please cancel it electronically to avoid confusion and a no show bill. Policy is subject to change.Policy subject to change. ~3 miles from Rapid City.